Sprinkle beef with lemon-pepper seasoning. In small bowl, mix lemon peel, soy sauce and 1 tablespoon of the oil; brush over both sides of beef. In 10-inch nonstick skillet, heat remaining tablespoon oil over medium heat. Add beef; cook 10 to 12 minutes or until browned on both sides and desired doneness. Cut into 4 serving pieces. 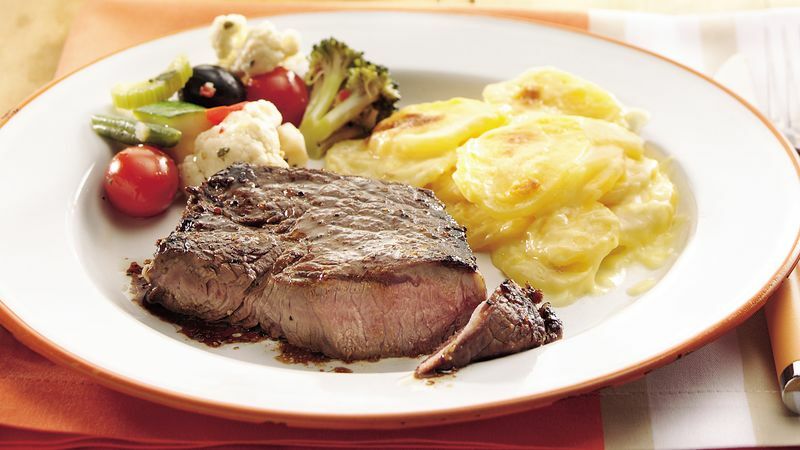 To complete the meal, serve the steak with au gratin potatoes and an Italian salad from the deli.